Last week, The Harley Jae Trust took part in Leicestershire’s Equinox24 race and raised £6,000 for the Nottinghamshire Hospitals Charity towards their BIG Appeal campaign. 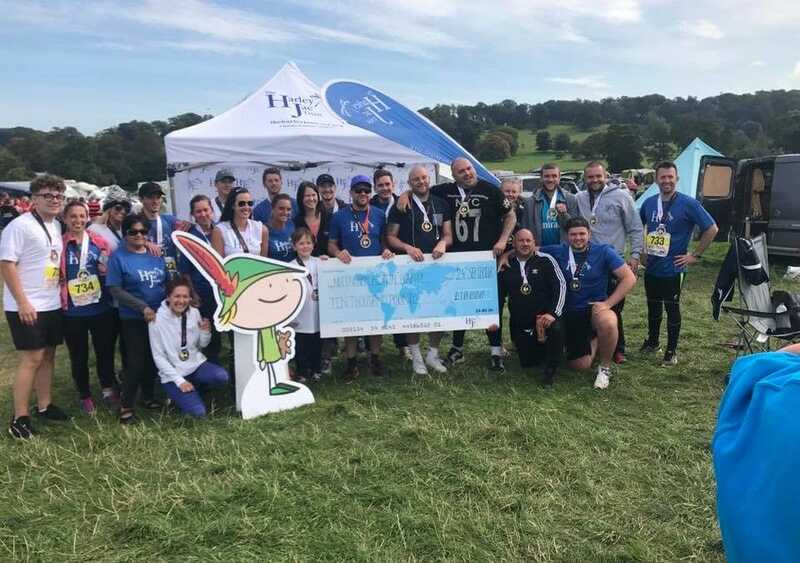 Chairman, Joseph Rafter, and his team took part in the Equinox24 challenge which saw more than 3,000 runners run in a 24-hour relay race around 10km of the Belvoir Castle Estate in Leicestershire. Beginning on the Saturday, runners ran round the clock until the race finished on the Sunday. The £6,000 raised at Equinox, a further £2,000 raised a Golf Day they hosted and other fundraising efforts will contribute towards a donation of £10,000 to The Nottingham Hospital’s Charity’s BIG Appeal to sponsor a ward room at the Nottingham Children’s Hospital. This £10,000 will be used to re-decorate and modernise the room and provide in-hospital facilities that will make families feel more at home than at a hospital. This is a huge part of The Harley Jae Trust’s ethos. Ever since Joe Rafter’s son, Harley Jae Blanchard-Rafter sadly passed away in 2013 due to a rare neurological condition, the charity has been continuously committed to supporting children with life-limiting conditions and their families across Nottinghamshire and the throughout the country. This, however, isn’t the first time the Harley Jae Trust have sponsored a ward room at the hospital. Through other fundraisers, the Harley Jae Trust raised £10,000 for the first ward room. The first room will fittingly be named ‘The Harley Jae Room’ when the makeover is complete. This is all part of the Hospital’s BIG Appeal which aims to raise £4m by 2021. Joe Rafter commented: “The run was an extremely strenuous challenge, but we all knew why we were doing it and the team did a brilliant job in maintaining high spirits throughout the relay. The Harley Jae Trust have been committed to supporting children with life limiting conditions and their families. They have continuously supported facilities at Queen’s Medical Centre and in December raised a record-breaking £14,000 for the Children’s Critical Care Unit. The charity was also involved in a present dash to raise the spirits of families and children by decorating and giving out presents.